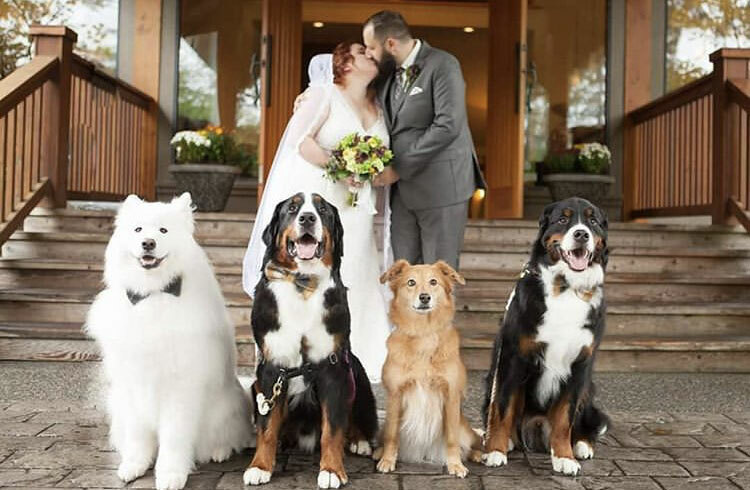 Our Dogs’ Involvement in the Happiest Days of Our Lives. 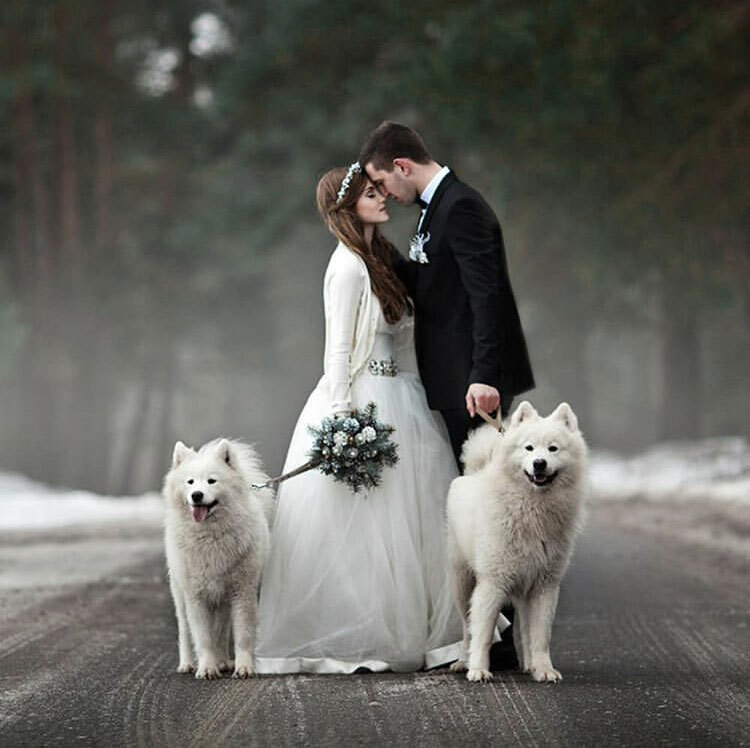 Our dogs are an important part of our lives. 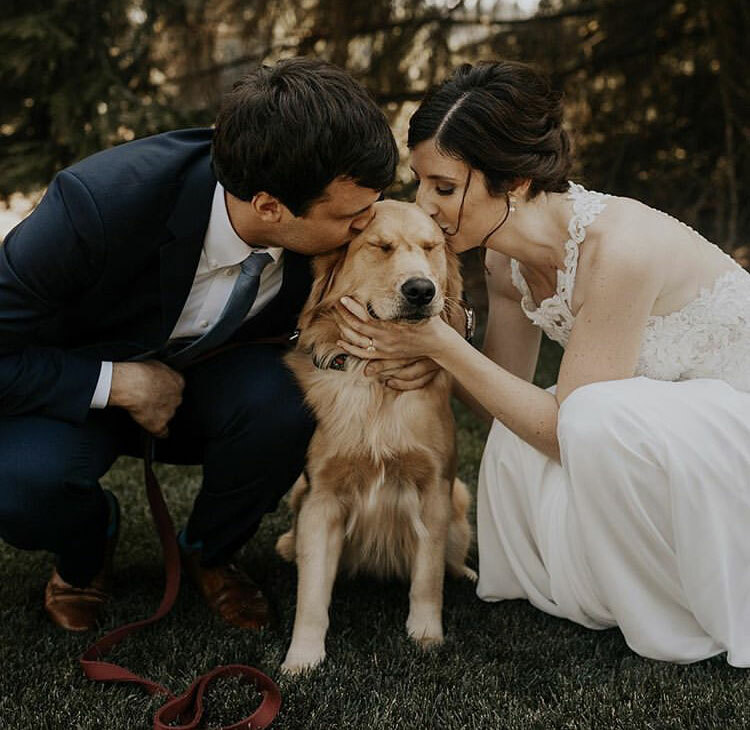 They are there every single day and thrive on routine and love. 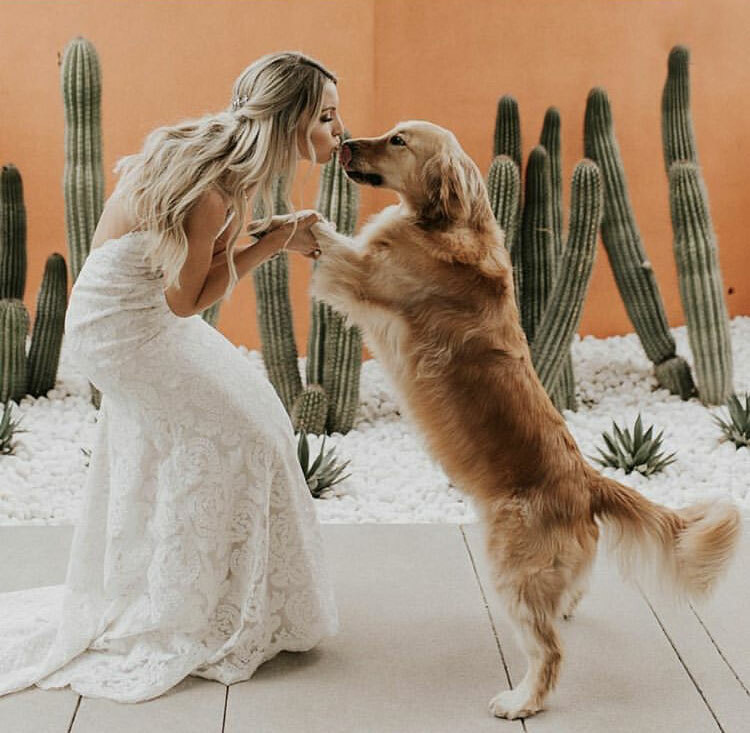 So, it’s not surprising that more and more people are making their dogs a big part of their wedding day. 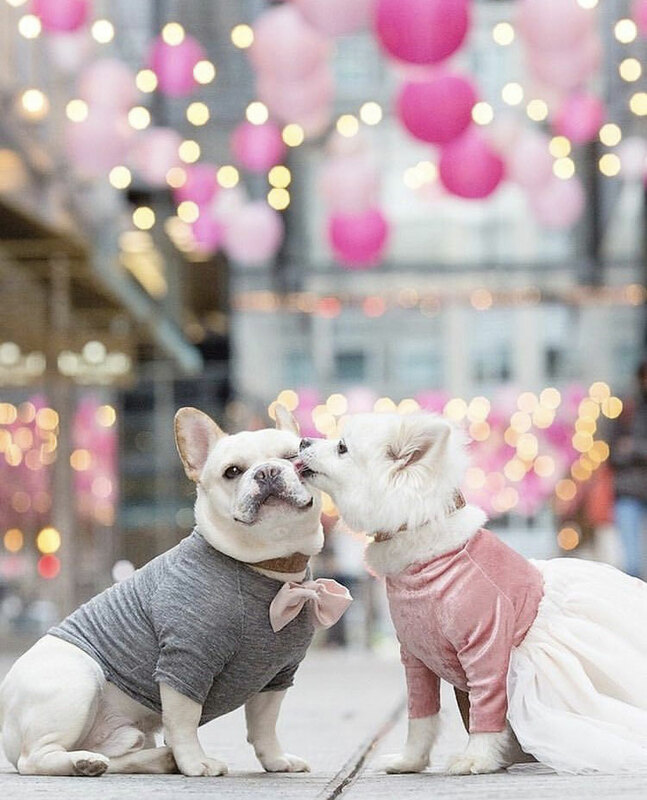 With Valentines Day coming up, we took a look online to see just how many people were actually doing this….and it’s a lot! 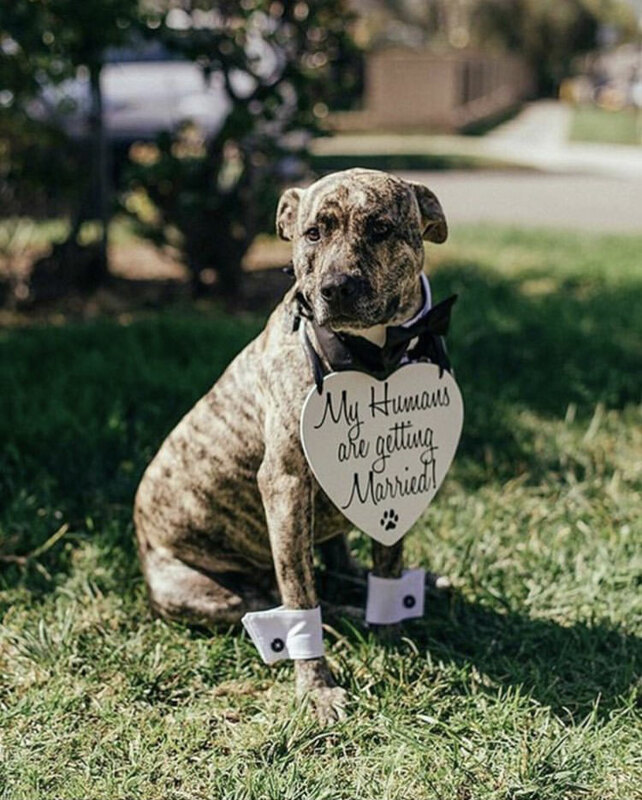 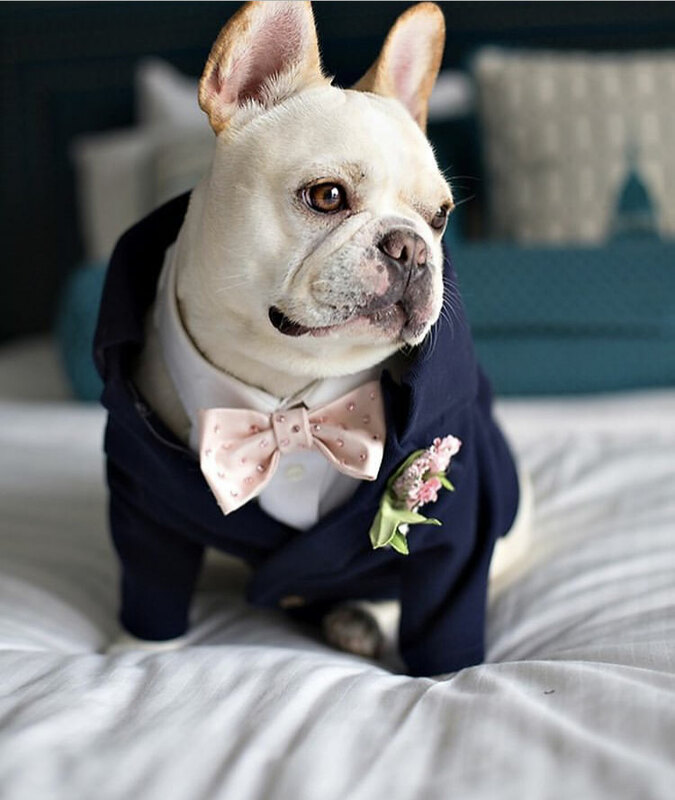 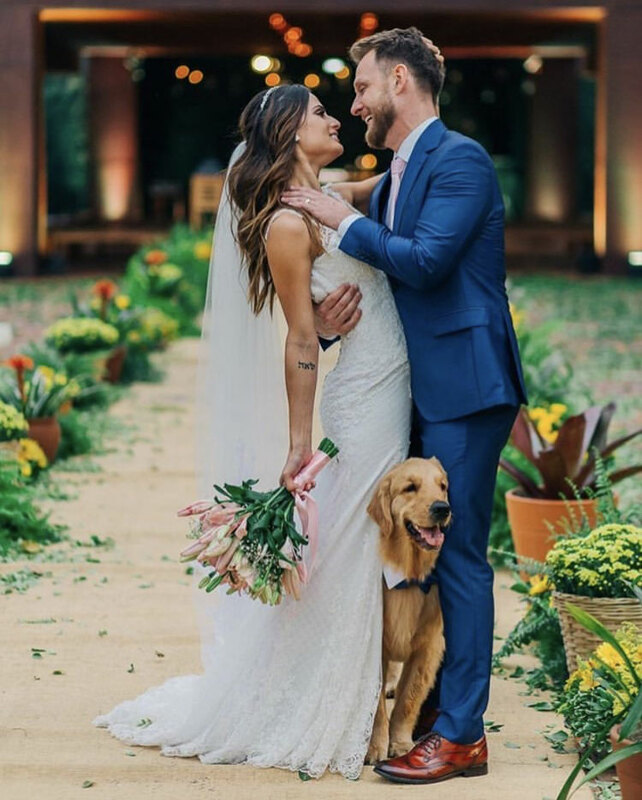 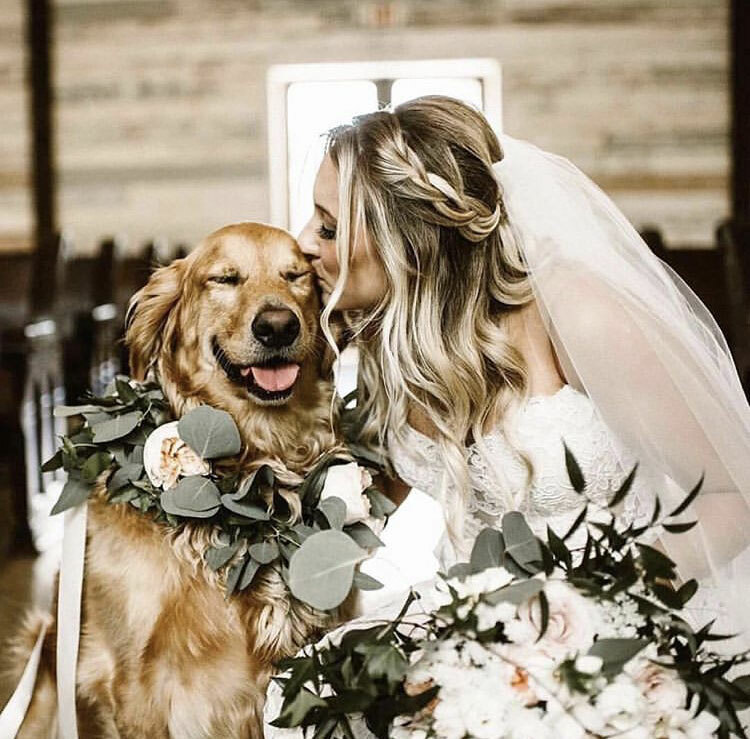 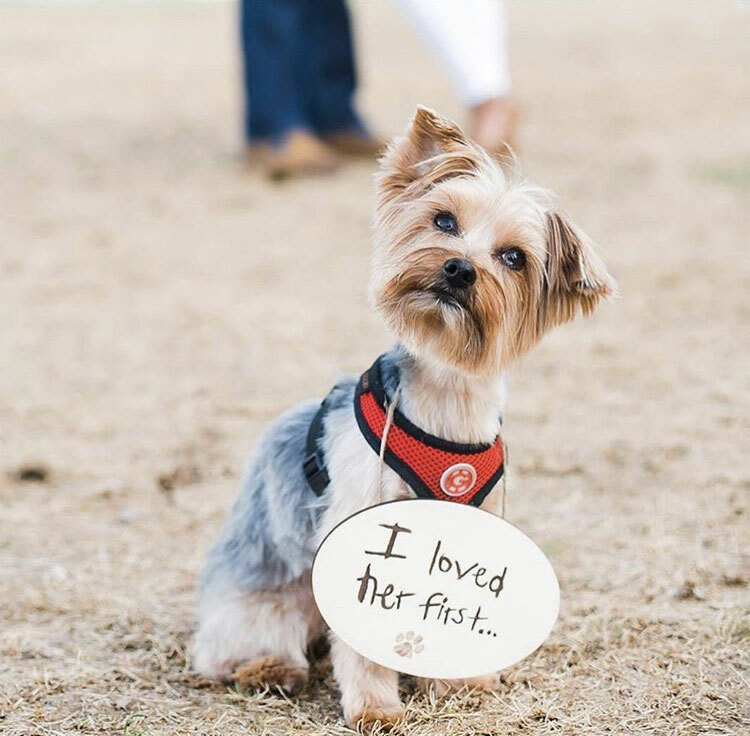 Here’s just a few posts we found of dogs at weddings, and we think they look absolutely adorable. 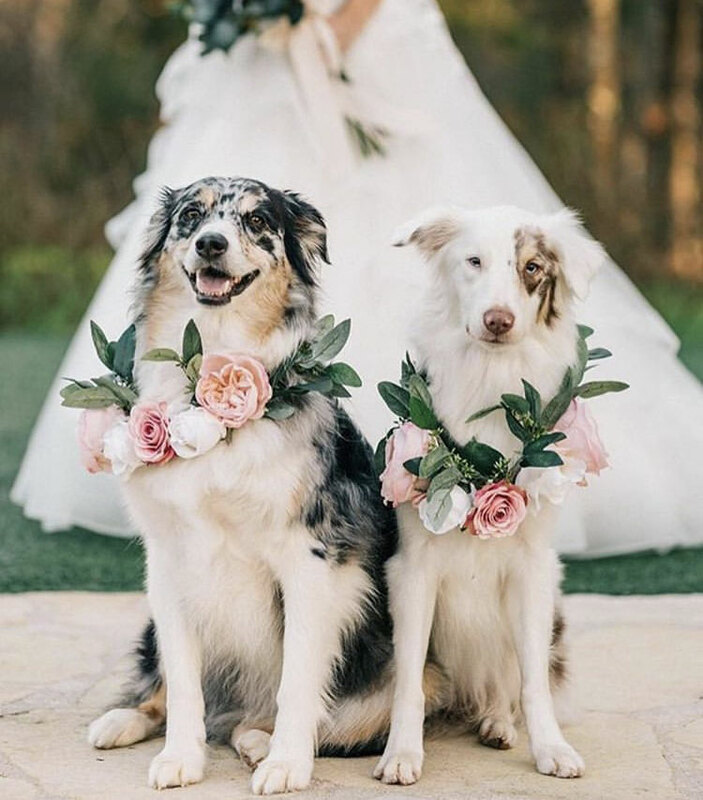 It’s no wonder they steal our hearts! 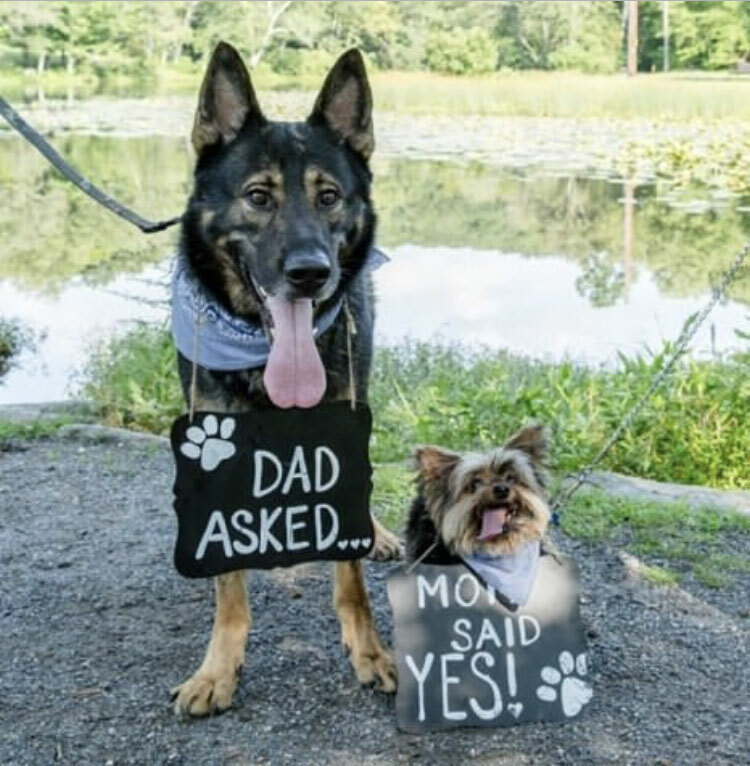 Tippy the Yorkie and Trigger the German Shepherd taking part in their parent’s engagement announcement. 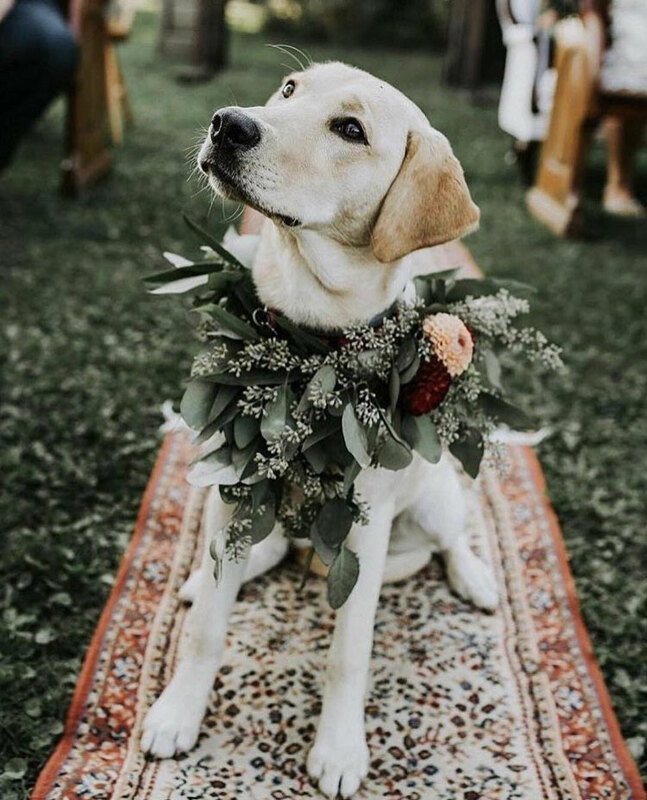 @jewelrybyjohan posted this gorgeous photo on National Dog Day. 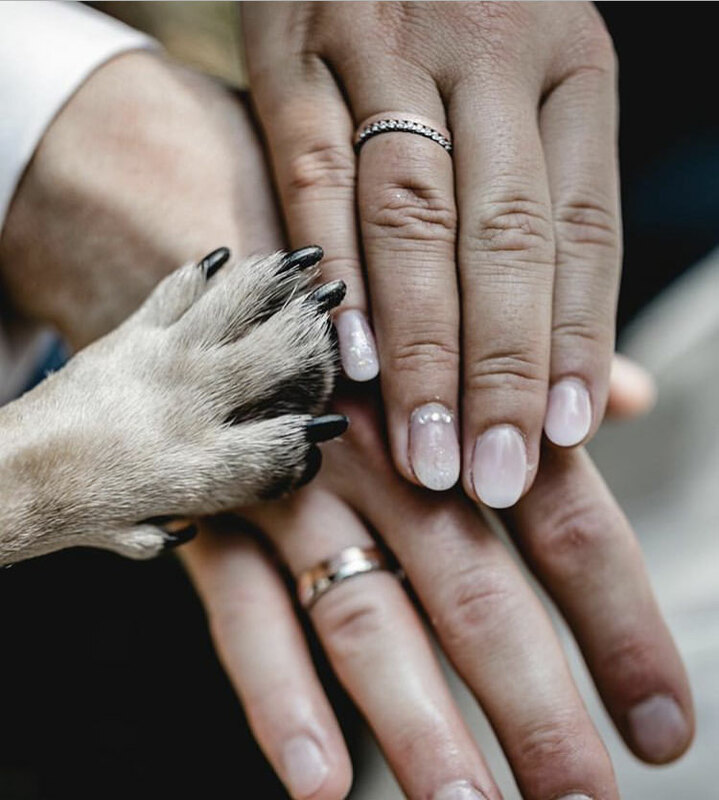 Just the touch of that little paw makes your heart melt. 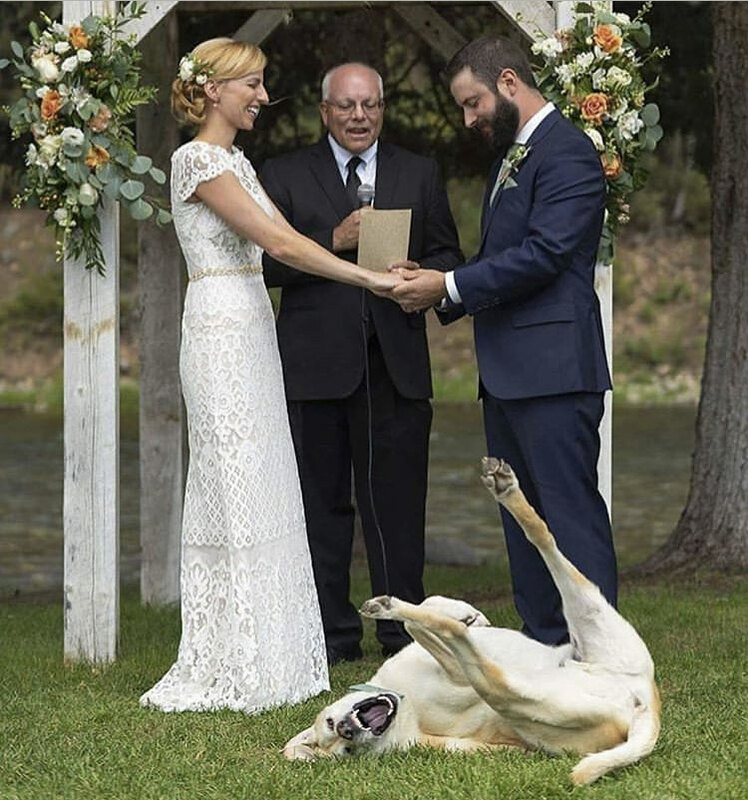 Someone isn’t taking this altogether seriously! 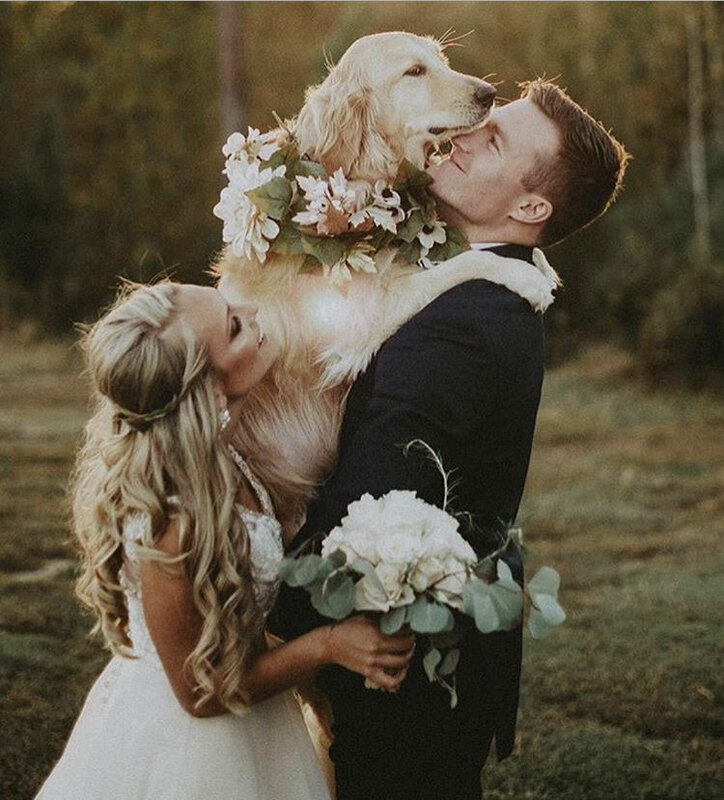 This is just beyond cute! 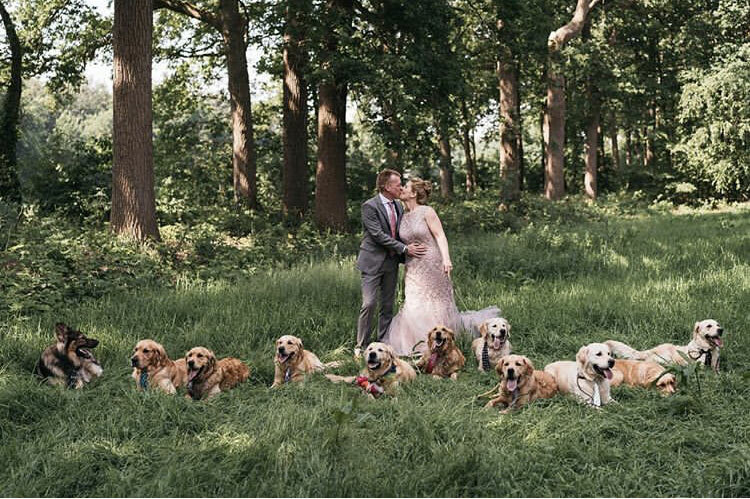 This Dutch couple just had all the dogs at their wedding! 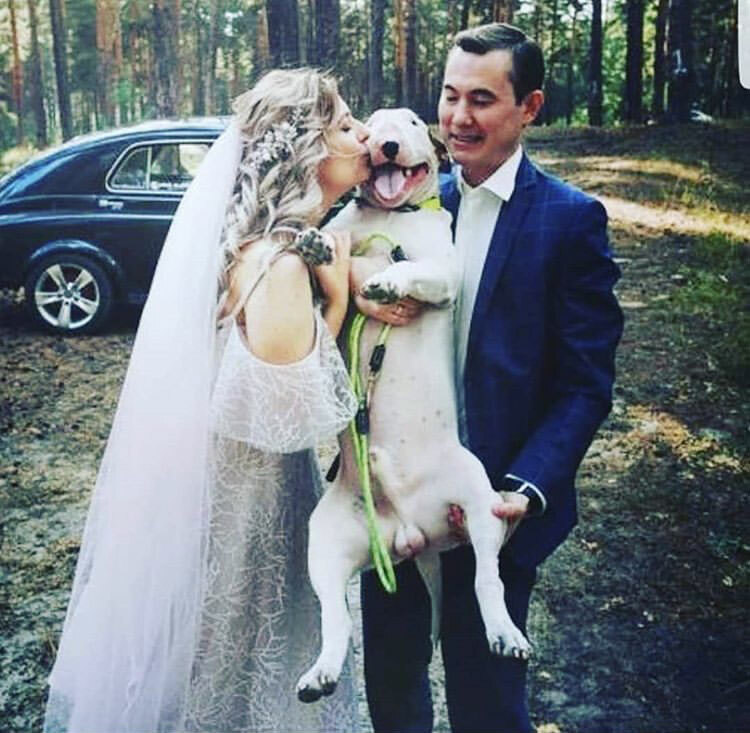 It’s not just the groom that gets a kiss!